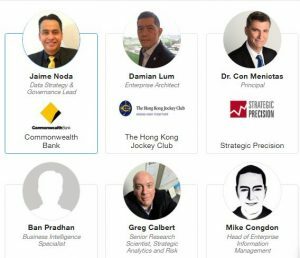 Big Data & Analytics Innovation Summit Sydney 2018 is one of the Innovation Enterprise series of Digital Marketing, Mobile Marketing, E-commerce, Retail, data visualization, and Social Media conferences that held annually around the world, such as Digital Marketing & Strategy Innovation Summit 2018 in Singapore, Big Data Innovation Summit Boston 2018, and Data Visualization Summit Boston 2018 during this year. Big Data & Analytics Innovation Summit Sydney 2018 is a two-day event where the largest gathering of senior business executives leading Big Data initiatives in Australasia, in addition to bringing the latest trends and innovations within data analytics, through the best practice cases, keynote presentations, and exclusive networking opportunities. It will take place from 17 – 18 of September 2018 at Sheraton on the Park, Sydney, Australia. Explore the latest tools and platforms to enhance your ability to create visualized and published open data to maximum internal and external engagement. Build on the knowledge of some of the leading brands in Australia and worldwide as you interact across 18+ hours of networking to share problems and challenges. Gain a unique view on security platforms and models within cyber security helping to heighten your businesses stance on security. Drive a new dimension of data innovation through leading technologies – AI, Machine Learning, Blockchain, Virtual/Augmented Reality, IoT and Digital Twin. Understand the importance of modernizing your infrastructure, to adopt a new architectural approach to your data team. Anyone else who operates in the digital community will attend to learn and leverage digital, mobile, and social media marketing. Follow up the Big Data & Analytics Innovation Summit Sydney 2018 updates here OR discover more Digital Marketing events, conferences & webinars in Australia during 2018 here.